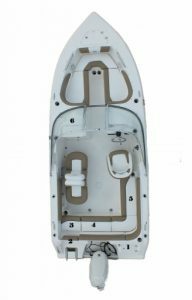 Call 802-475-2465 or email info@toms-marine.com to build your Key West Boat today! Since its introduction, the 219 FS has been one of the most popular models and shows no sign of slowing down. It offers so much to the outdoor family with a competent offshore fishing package mated to a package loaded with creature comforts such as full width bench seating in the rear, generous changing/potty room under the console, standard seating in the bow complete with removable backrests, side bolsters, and bow cushions. Cup holders abound throughout, and it can be custom rigged with everything from a ski tow to outriggers. At 21'9" and an 8'6" beam, it is one of the largest in its class with more floor space, rod storage, dry storage, and seating than the competition. 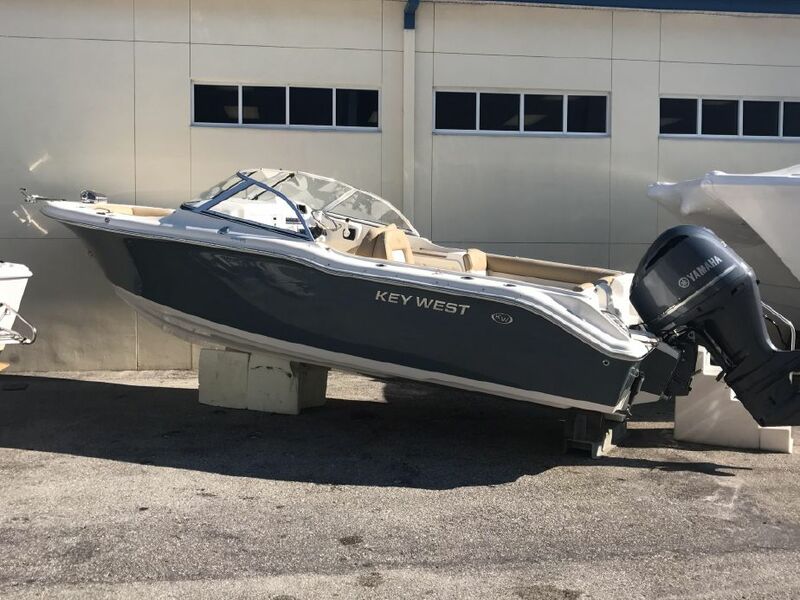 And unlike the competition, all Key West Boats are built to be unsinkable providing the outdoor family with the best in safety. 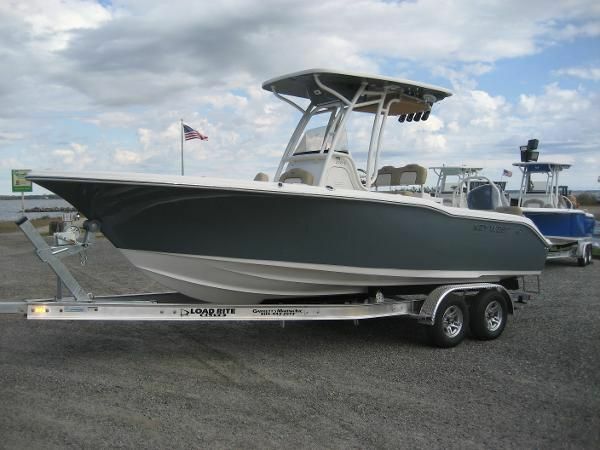 Available for your 2019 season at Tom's Marine, this sleek slate grey boat is powered by a 200HP Honda motor and features more than just standard equipment; for comfort, convenience, and versatility we have added a stainless steel bimini top and boot, black canvas console and leaning post covers, Jensen Bluetooth stereo and speakers, Garmin ECHO GPS, EchoMap Chirp Thru Hull Transducers, pop-up fender holders, and a full bow cushion package with table, filler board, and cushions. 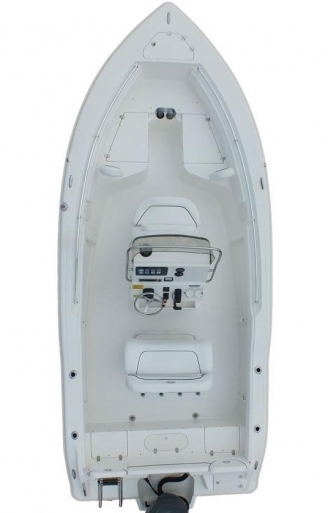 The 203 DFS combines low maintenance of a self bailing fiberglass lined cockpit with the comfort of a typical bow rider for one of the most versatile boats on the water today. 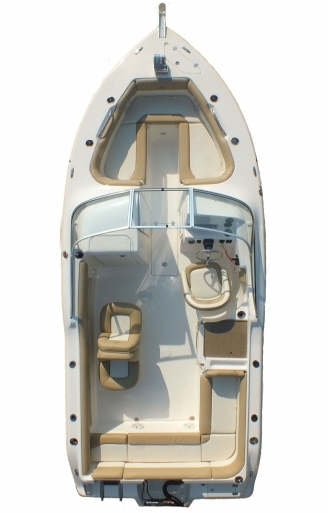 This saltwater friendly runabout features comfortable seating up front with a sporty wraparound bench in the cockpit. Watersports enthusiasts will enjoy the built in swim ladder combined with a swinging entry door for the easiest boarding in its class, and the occasional fishing trip will find convenient rod holders and even a live well. 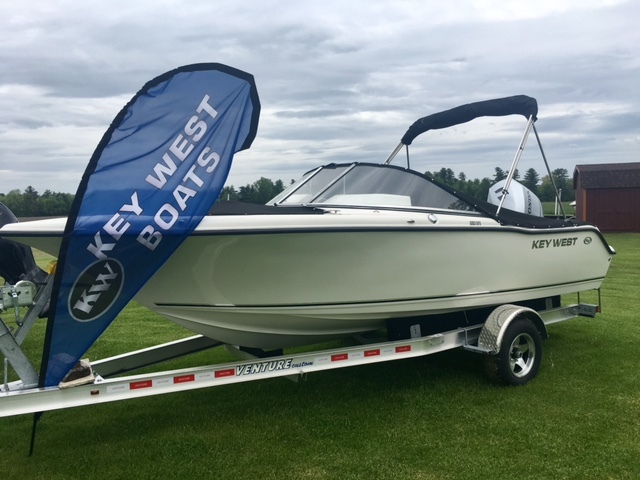 Available for your 2019 season at Tom's Marine, this sleek, slate grey boat is powered by a 150HP Honda and is equipped with more than just standard features - we have added black bow and cockpit covers, Garmin ECHOMAP plus GPS, pop-up fender holders, and an aluminum deck mount ski pole. We recommend a VATB-5225 Venture Trailed to tow your new vessel - pricing available upon request. 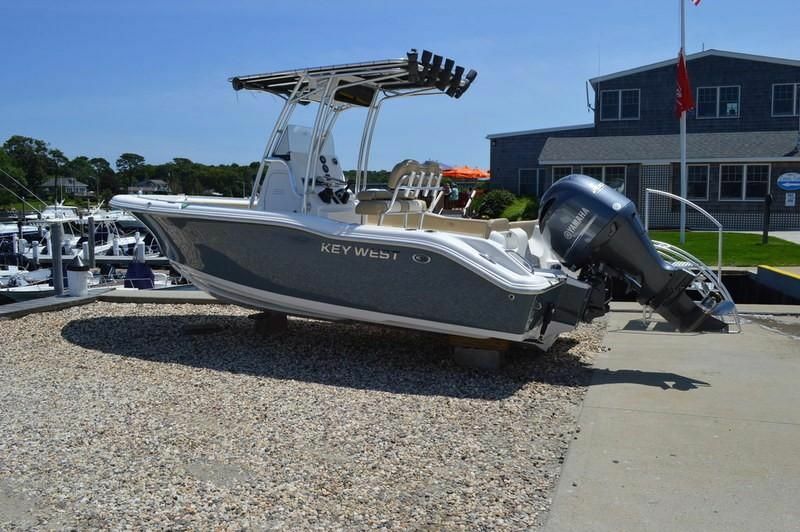 Available for your 2019 season at Tom's Marine, this boat is powered by a 150HP Honda and is equipped with more than just standard features - we have a stainless steel bimini top and boot, captains chair and back to back lounger, Garmin ECHOMAP GPS, an aluminum deck mount ski pole, pop-up fender holders, and black cockpit and bow covers. The latest introduction to the expanding Family Sportsman series, the 239 FS offers the largest cockpit in its class, and is loaded with features for both family comfort and serious fishing. 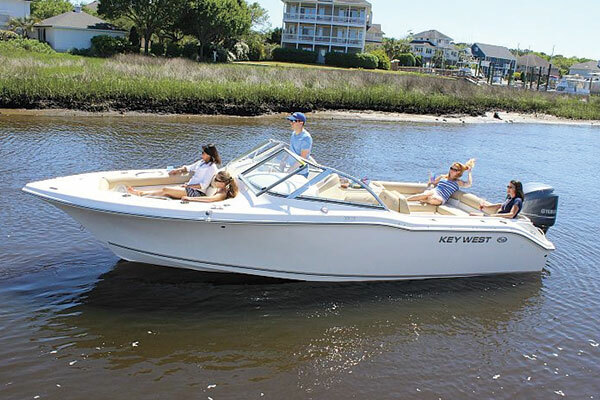 Enjoy the comfort of the full width bench seat in the rear and the front facing seating in the bow for a relaxing day on the water with the family and friends, or hit the blue water safe and secure in a very capable long range offshore fishing platform. Fishing features include the ever present live well, rod storage racks, trolling rod holders, and even an insulated, macerated under floor fish box up front. 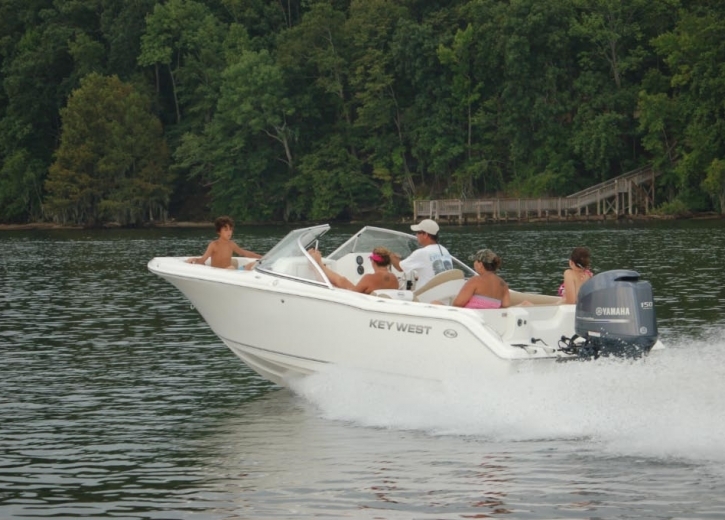 The 239 FS is ready for whatever water sports your family enjoys. 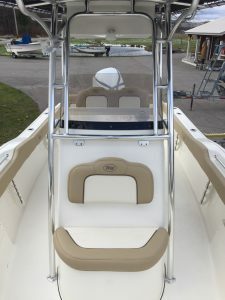 Available for your 2019 season at Tom's Marine, this boat is powered by a 250HP Yamaha 4 stroke pre-rigged with DEC CommandLink technology and is equipped with more than just the standard features - for comfort, convenience, and versatility we have added a windlass with anchor, rope, and chain, Jensen Bluetooth stereo, speakers, and mp3 port, Garmin ECHOMAP GPS with Airmar B150 chirp thru hull transducers, black canvas T-Top with radio box, leaning post, and console cover, the full bow cushion package with filler board, and pop-up fender holders. Available for your 2019 season at Tom's Marine, this sleek slate grey boat is powered by a 250HP Honda and equipped with more than just standard features - we have added a Garmin ECHOMAP GPS with Airmar B150 chirp thru hull transducer, windlass with anchor, rope, and chain, stainless steel bimini and boot with spray shield and side curtain, pop-up fender holders, bow table with filler board and cushion, and black bow and cockpit covers.